Robust waxed canvas and vintage-look leather backpack for carrying your books, laptop, and more. 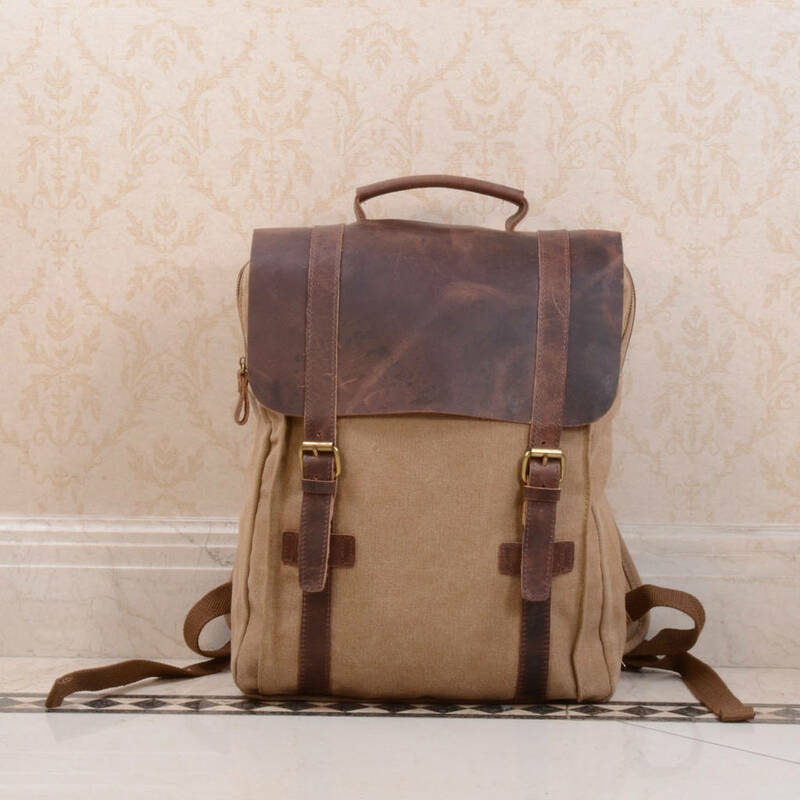 This highly functional bag is designed to tote everything from clothing to a laptop. 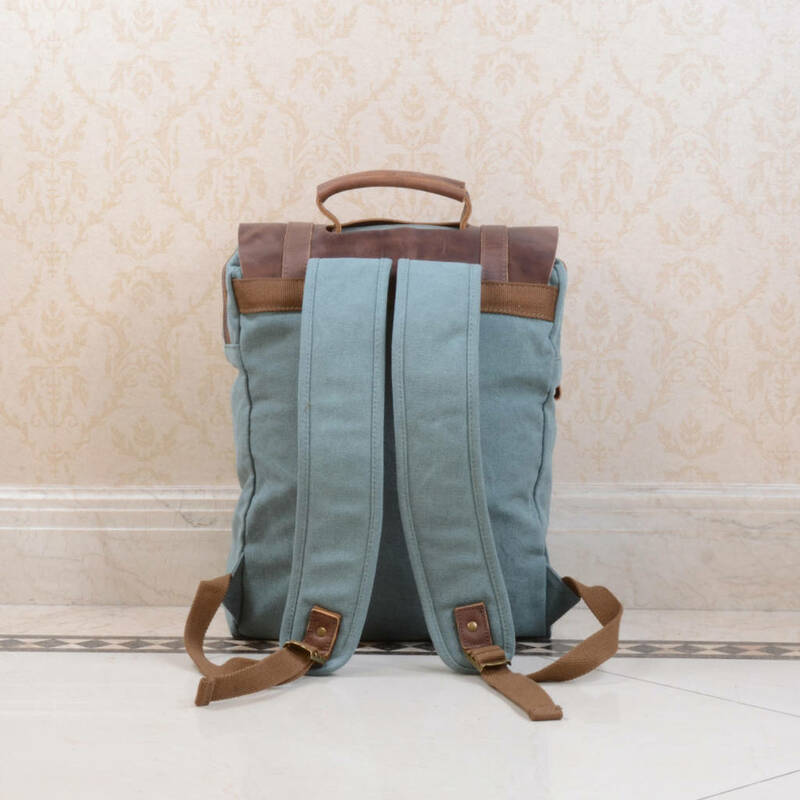 It is ideal for storing everything such as a jacket, a pair of trousers, a laptop (up to 14'') and a few magazines. 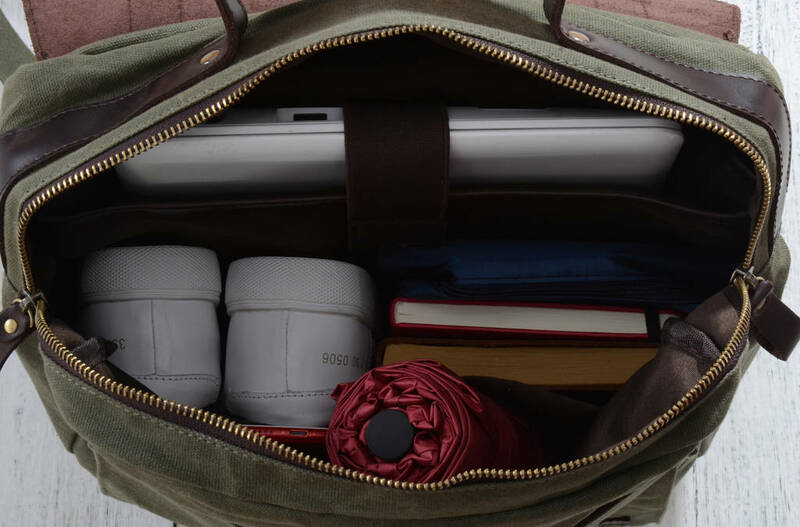 And it has smaller interior pockets for storing things like your charger, and mobile phone. 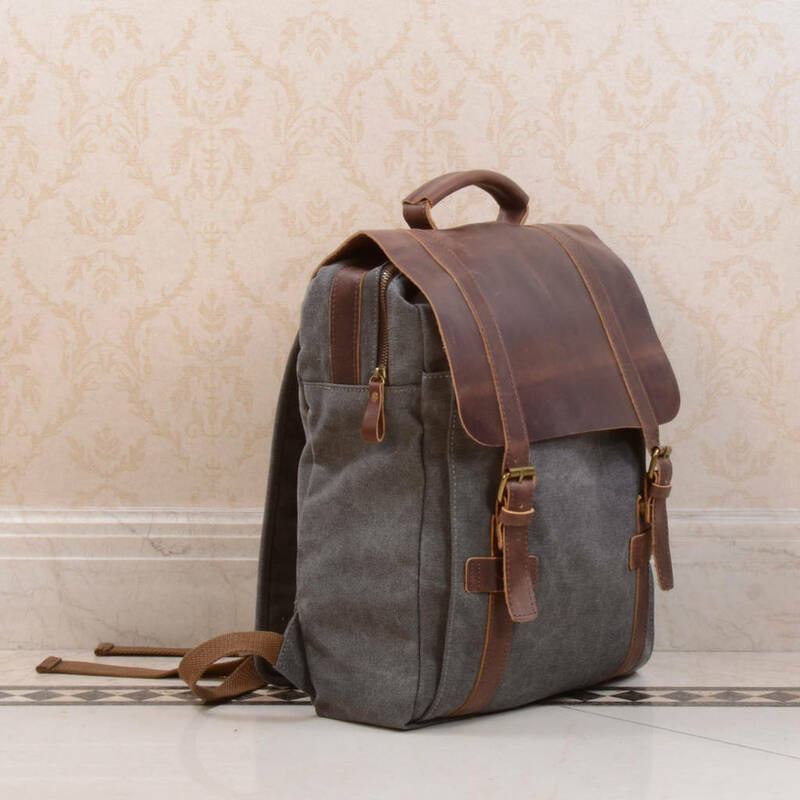 This bag features adjustable straps. 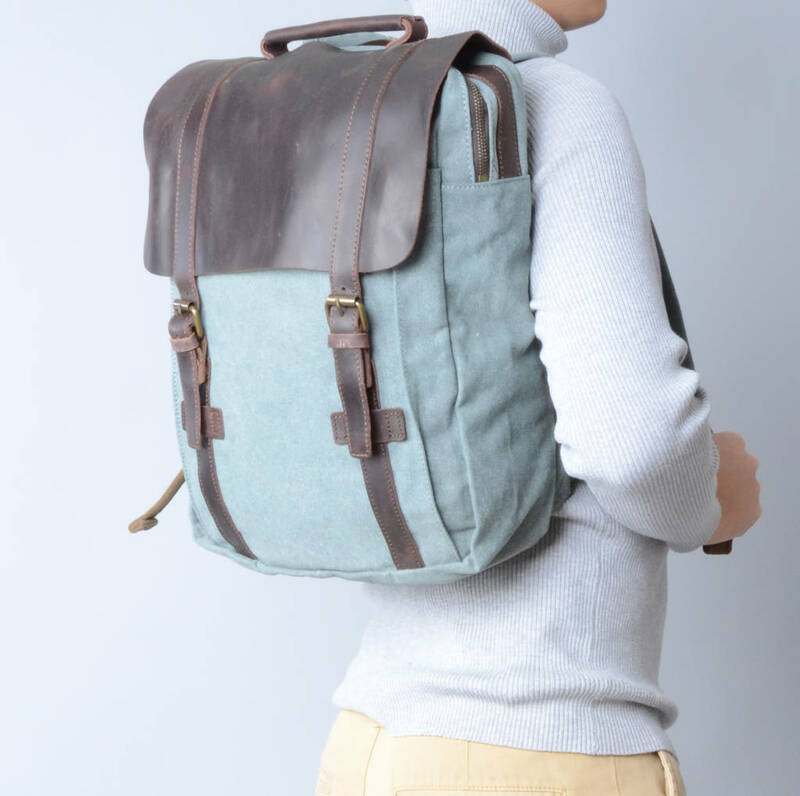 The front flap and front pockets have magnetic closures, and the main compartment has a zip to open and close. 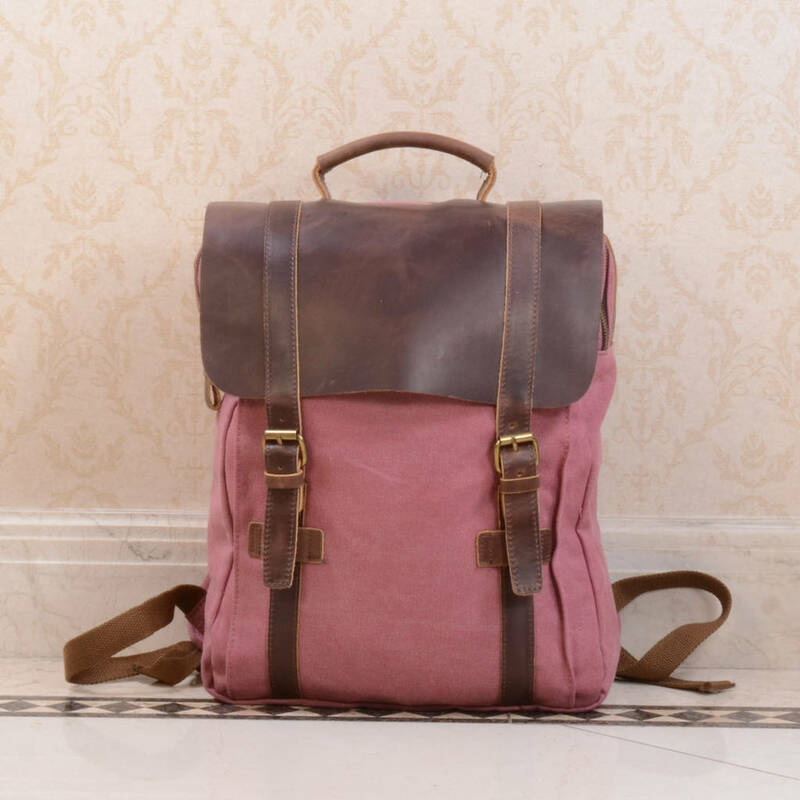 This modern rework of classic backpack is a ideal aniversary gift for anyone. It also makes a perfect birthday gift for your son, brother, or father. 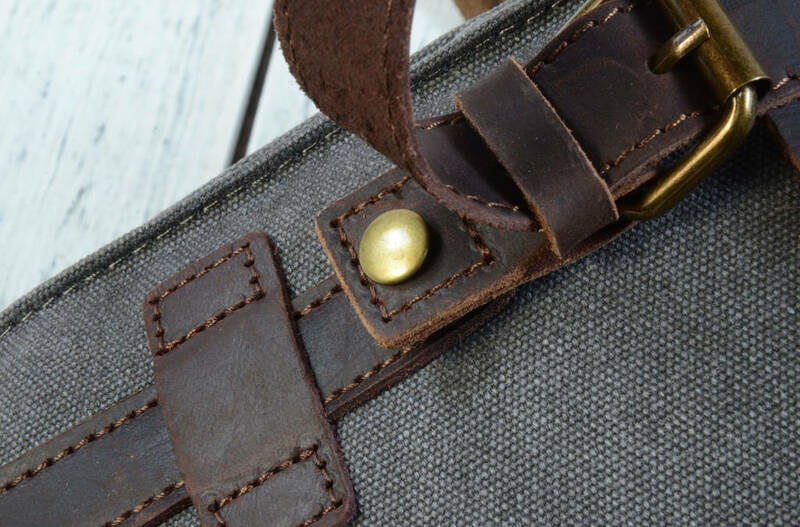 All our bags are carefully handmade by experienced manufacturers to achieve the highest standard of quality. 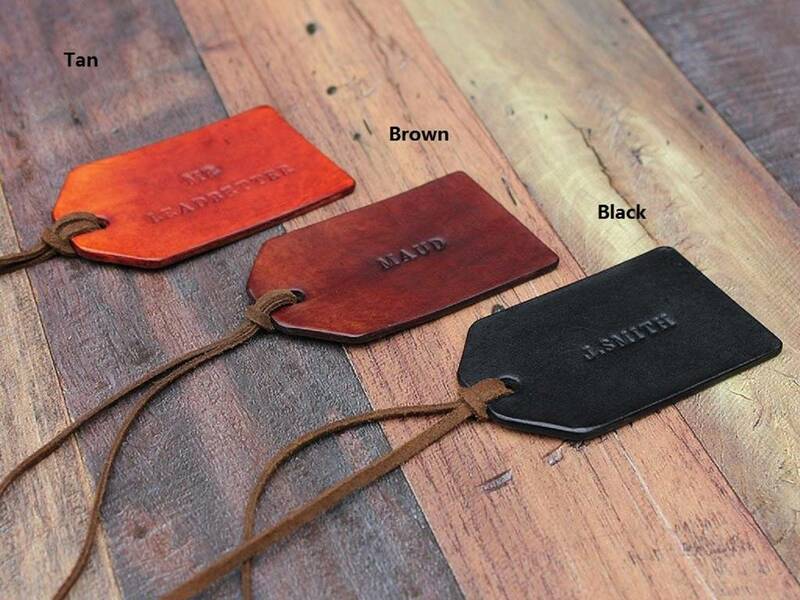 Upon request, our partner workshop will make a leather tag with personal initials for you. Personalised tags: (ship to UK customer Only). Personalised leather tag may differ from bag in colour and texture. All personalised tags are made and sent separately by our partner workshop. 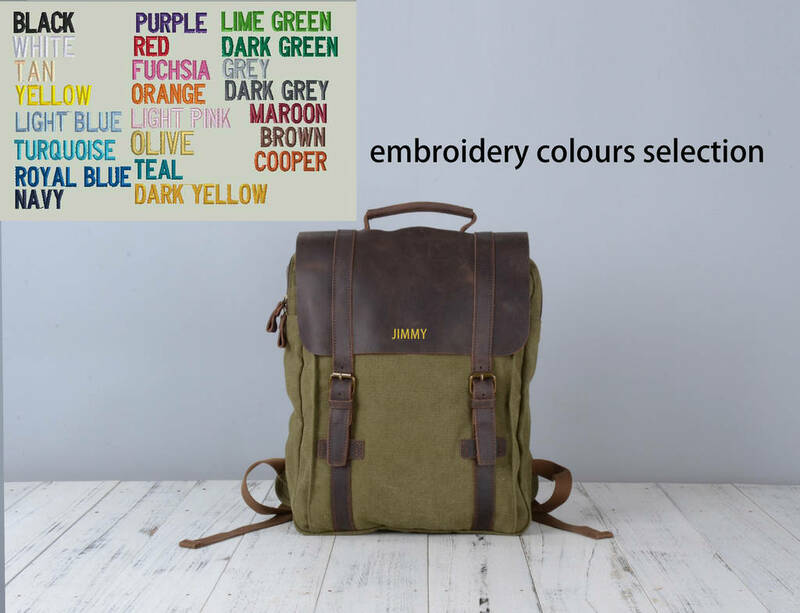 Personalised embroidered initials on bag (UK and EU customer Only, delivery time: around 7 days within UK, 2-3 weeks for EU delivery): Choose from various colour and 24 letters A-Z to embroidered on your bag. Personalised goods are not returnable or refundable. 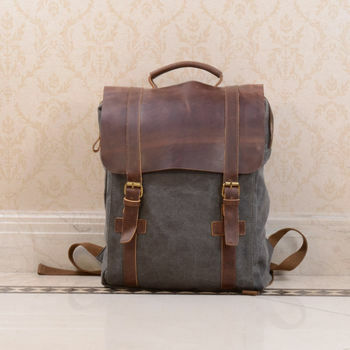 Main body: Robust, soft, genuine leather which gives the bag a vintage look. 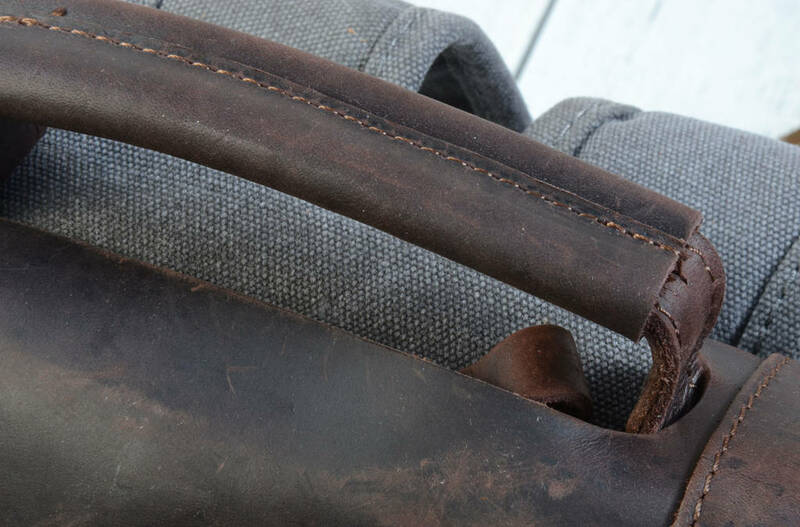 The leather is made from cowhide. Wipe clean the bag with damp cloth. 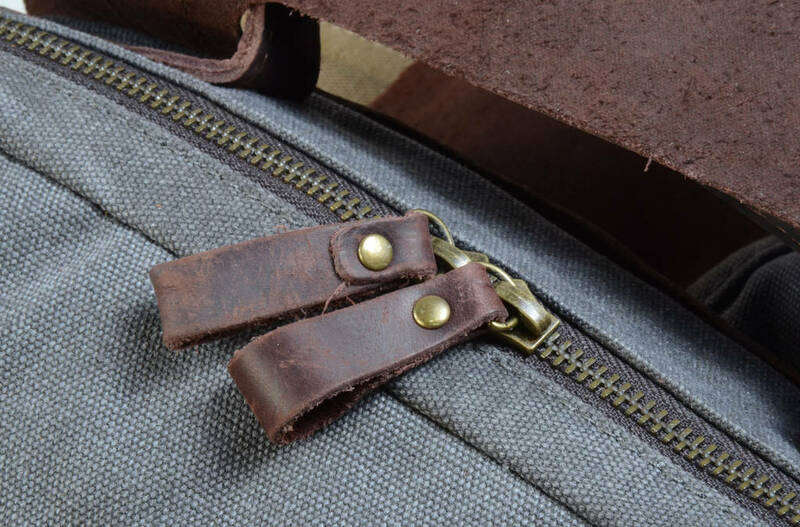 Tag: Made from 100% vegetable tanned leather off cuts. H42 x W31 x D10cm. H16 x W12 x D4 inches. This product is dispatched to you by EAZO.